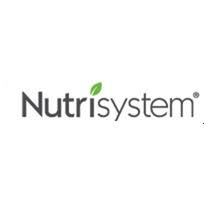 I'm so excited to be on my 35th week of Nutrisystem! I honestly can't believe it's been that long. When I first started Nutrisystem, I didn't know how the month's following would be. I didn't know how I'd like it, and how far I'd come. But wow.. I just can't believe it! I have come to far.. lot's of weight loss.. and I feel amazing.. Better than I've ever felt before. This week was a great week, I was feeling awesome, and I even did some jogging. This past week, I am down an additional .6lbs.. Bringing my total weight loss down to -46.8lbs.. SO close to my -50 weight loss goal!!! I really enjoyed the Adobo rubbed pork, with it's delicious sweet potatoes surprisingly. I'm honestly not a huge pork eater, and I very rarely have sweet potatoes. I really enjoy both portions of the entree though. It was kindof spicy, but that just made it more interesting, in my opinion. Overall, I had another super week on Nutrisystem, and I can't wait for next week! Congratulations on your continued weight loss, make sure you post a begore and after pic to inspire the rest of us to stay focused. Happy Easter! Yes- get that before and after pic done! You have done so well and I know you have to feel better! I will have one up soon guys, I promise! I was wanting to save it for my final Nutrisystem post, so I could go out with a bang :)!